GeoTrust EV SSL - Buy True BusinessID EV SSL at $125/yr. Take advantage of GeoTrust EV SSL and bring the green bar to your website, which is a mark of highest validation and strong encryption. GeoTrust True BusinessID EV certificate is one of the most recognized certificates in SSL industry. GeoTrust True BusinessID EV certificate provides the highest authenticity to your current and potential customers. Get up to 256-bit robust encryption and provide a superior level of confidence to online visitors. GeoTrust EV SSL allows you to show to your customers that you take care of them and wish to protect them from phishing and other online frauds by securing their online information. Make your customer more confident, simply go with GeoTrust True BusinessID with EV that comes with a green bar. It means that you are giving extra confidence to your customers. GeoTrust True BusinessID with EV turns your address bar into green bar, which will also show your company name and your domain will initiate with the HTTPS instead of HTTP. Moreover, your visitors will easily evade fraud copies of your legit website. The highest level of trust with 256-bit encryption secures your confidential information over the web. The certificate takes maximum ten days for issuance procedure. GeoTrust follows strict extended validation process that establishes you as a legitimate identity in online business. GeoTrust EV SSL is now available at just $125.00/year from Cheap SSL Shop! We are an authorized reseller of GeoTrust and pass high discount to our customers and we keep small portion of profit. 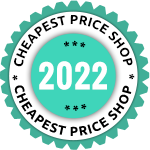 You can buy GeoTrust Extended Validation (EV) SSL at cheapest price on CheapSSLShop. You can buy or renew this SSL for 1 Year and 2 Year of period. 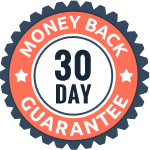 Rest assure with 30-day 100% money back guarantee. It includes dynamic site seal of GeoTrust CA with real-time information. It includes unlimited server licenses per certificate; means you don't need to buy additional license. In loss of private key or server re-location, you can re-issue this SSL at FREE of cost. You can secure www or non-www domain with this single GeoTrust True BusinessID EV SSL. Get free installation help with our technical team. GeoTrust TBID EV SSL is an extended validation in which thorough business legal verification including domain ownership is being verified. This certificate carries the highest assurance hence customers put trust on the website. GeoTrust understands customers’ security and trust hence, offers $1500K warranty. It ensures that GeoTrust is taking much care while issuing a certificate and validates the business with prescribed rules and standards. This certificate turns website address bar into the green bar that also displays company name as well GeoTrust name. It provides immediate assurance to customers about website authenticity. GeoTrust provides free site seal with TBID EV certificate that adds value for your business to let customers feel about website’s reliability. A website owner can place the site seal on any page of a website. GeoTrust TBID EV is compatible with mobile and desktop browsers to avoid unnecessary browser warnings and offers a smooth browsing experience to customers and visitors. GeoTrust root certificates are already implemented in modern browsers. This certificate is ideal for phishing protection as the green bar, dynamic site seal assures customers that they are on the right website. Customers can check site information by clicking on a green bar for website trustworthiness.